Offering you a complete choice of products which include hard anodized frying pan, hard anodized lip sauce pan, hard anodized kadai, hard anodized regular sauce pan bh, hard anodized roti tawa ss and hard anodized roti tawa bh. We feel proud to introduce ourselves as the leading organization in this domain, engaged in presenting an excellent grade of Frying Pan. The awesome looking pan is coated with a smart finish that offers long working life. The pan is manufactured using quality metal and modem technology under the supervision of our skilled professionals. In addition, the pan can be made available in bulk for the clients at industry leading prices. With the comprehensive industry knowledge of allied domain, we are engaged in presenting a superior quality range of Lip Sauce Pan. At out unit, we adhere to the industry standards during the fabrication of pan. 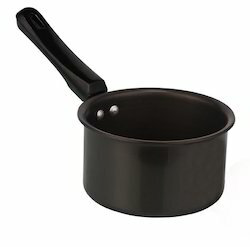 The pan is used in eateries, hotels, houses, restaurants, and parties. The set is artificial using quality metal and modem technology under the direction of our expert professionals. We have gathered a huge customer base in this domain by presenting a comprehensive range of Kadai. The kadai finds wide applications in food and hospitality industry. Our professionals adhere to the industry standards during the fabrication of kadai. The kadai is manufactured using quality metal and modem technology under the course of our experts. With phenomenal market understanding, we are able to introduce an extensive range of Tope. The tope finds wide applications use in food and hospitality industry. The tope is manufactured using quality metal and latest technology. Our professionals adhere to the industry standards during the fabrication of tope. Clients can get the tope from us at industry leading rates. 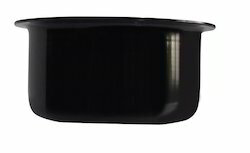 Looking for “Macclite Hard Anodized Cookware”?